In this paper, I construct a new ASE-I scheme for solving parabolic partial differential equations in parallel through classical explicit-implicit format and the Saul’yev asymmetric formats. This method is absolutely parallel and stable, and the sub-sections are more flexible, so the scheme is more convenient to apply to solve parabolic partial differential equations. In this paper, we list the mathematical form of this finite difference scheme, analyze the stability of the scheme, and verify the stability and accuracy of this scheme through numerical experiments. The results of numerical experiments are consistent with the theoretical analysis. D. J. Evans, M. Sahimi. The alternating group explicit iterative method for solving parabolic equations: 2-dimensional problems. International Journal Computer Mathematics, 1988, 24: 311-341. B.-L. Zhang, W.-Z. Li. AGE methods with variable coefficient for parabolic computing. Parallel Algorithms and Applications, 1995, 5(3/4): 219-228. J. Dauglas Jr. A survey of numerical methods for parabolic differential equations. Advances in Computer, Vol.2, Cambridge: Academic Press, 1961: 1-52. D. J. Evans, A. R. B. Abdullah. 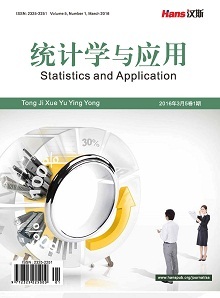 A new method for the solution of parabolic differential equations. 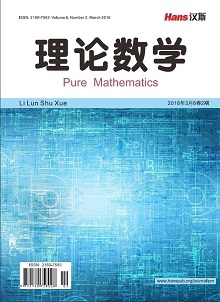 International Journal of Computer Mathematics, 1991, 38: 241-255. D. J. Evans, A. R B. Aboullah. Group explicit methods for parabolic equations. International Journal of Computer Mathematics, 1983, 14(1): 73-105. L. S. Kang. H. Y. Quan. 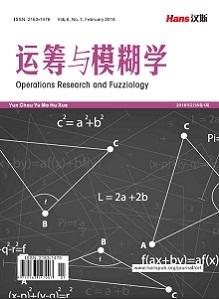 The numerical solution method of splitting operate for high-dimensional partial differential equation. Shanghai: Shanghai Science and Technology Press, 1990: 1-127.